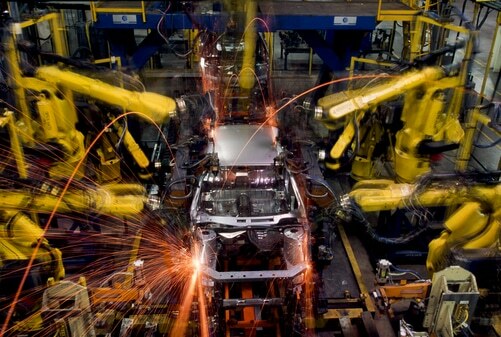 The hardest hit sector could be in the manufacturing industry. From recent reports, it may seem like automation only affects those in developed countries; however, a report from the UN Conference on Trade and Development recently noted the ways in which automation impacts those in developing countries—and it seems that it impacts these nations even more than the industrialized world. In short, this means that low-skill jobs in developing countries are more vulnerable, as these jobs could rather easily be done by robots, robots which would replace human low-skill labor in these countries. This translates to some staggering numbers: Two-thirds of all jobs in developing countries might be lost to automation. The report continues by stating that automation could cause economic activity, like the manufacturing industry, to be reshored to developed countries from developing ones. If you aren’t familiar with this term, “reshoring” is the act of bringing back domestic manufacturing to a country. It is already happening today, but according to the report, it’s happening at a slow pace. In the future, as automation continues to scale in the developing world, this rate will likely change dramatically. This, of course, brings up a host of issues. How do we alleviate the impact that the robots/automation have on the developing world? How do we protect human workers and our economy from automation? According to the report, “outcomes will be shaped by policies.” In other words, nations need to start planning for the inevitability of automation and job loss now. To that end, the report advises countries to embrace the “digital revolution” through the changing of educational policies combined with “supportive macroeconomic, industrial and social policies.” Thus, we need to incorporate computers more fully into our education system and change, from the ground up, how our society functions. This, of course, will be no small task. One social solution that could be introduced is Universal Basic Income—a guaranteed income that is given to all individuals regardless of employment status or economic situation. It is a system that is already being debated, as a host of experts in various industries are pushing for it. In fact, it is already being tested in Finland and other nations. Thus, in the near future, we can analyze its results and, if positive, rework our economic and social structures to accommodate it. “Disruptive technologies always bring a mix of benefits and risks,” the report says. We should always weigh the risks these technologies bring while, at the same time, exploring new ways to better our society (and transforms our society) with them.